A HUGE part of primary grades math is number sense and number relationships. Seems easy enough. I mean we’ve been doing this since day one right? 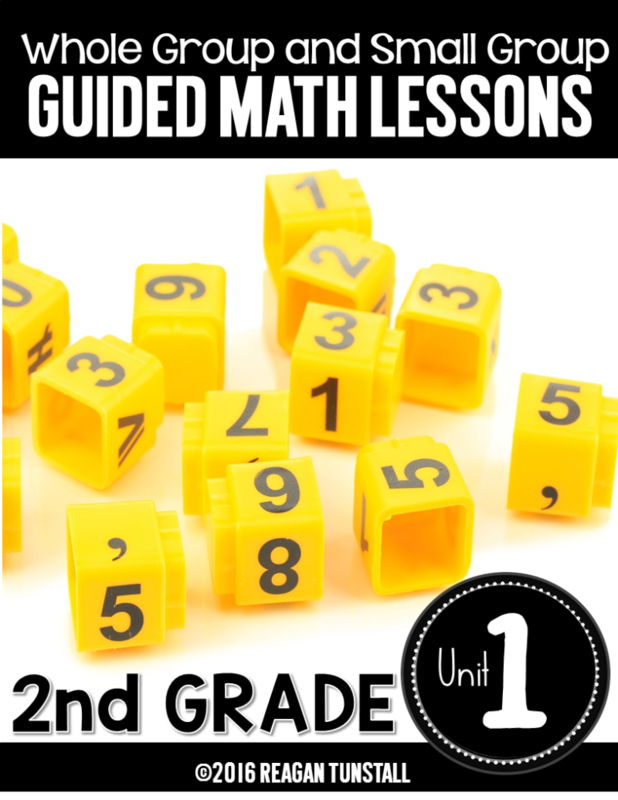 I decided to really take a look at the number sense standards (both first and second grades) and have been adding to the guided math series over the last couple months, and I am excited to share that I am moving into second grade standards and expectations now with the series! I am very excited about where the series is heading! Whether you teach first or second grade, there are lessons for you in this post! 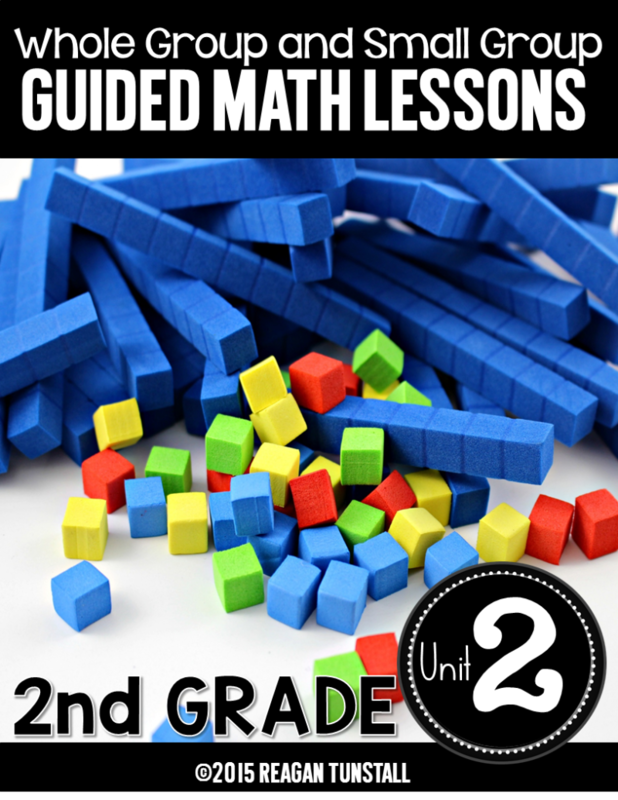 For now let’s jump into Unit 1 of the Second Grade guided math series! First and foremost, this unit is black and white so you can hit print and start teaching or spice it up with colored paper! 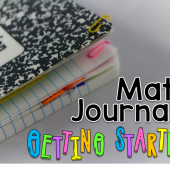 Because number sense (unit one) is typically started at the beginning of the school year, I included some basic beginning of the school year graphs to help us get to know our classes while also hitting some standards along the way! 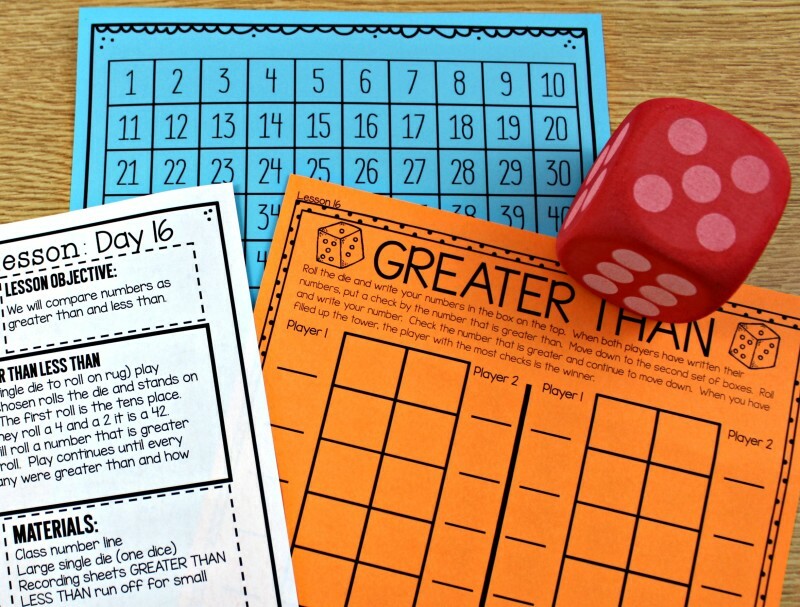 Every day’s lesson plan in this unit has both a whole group mini-lesson as well as small group activity to help teach the concept in more detail with your small groups! Of course during the first weeks of school we are learning procedures and expectations. 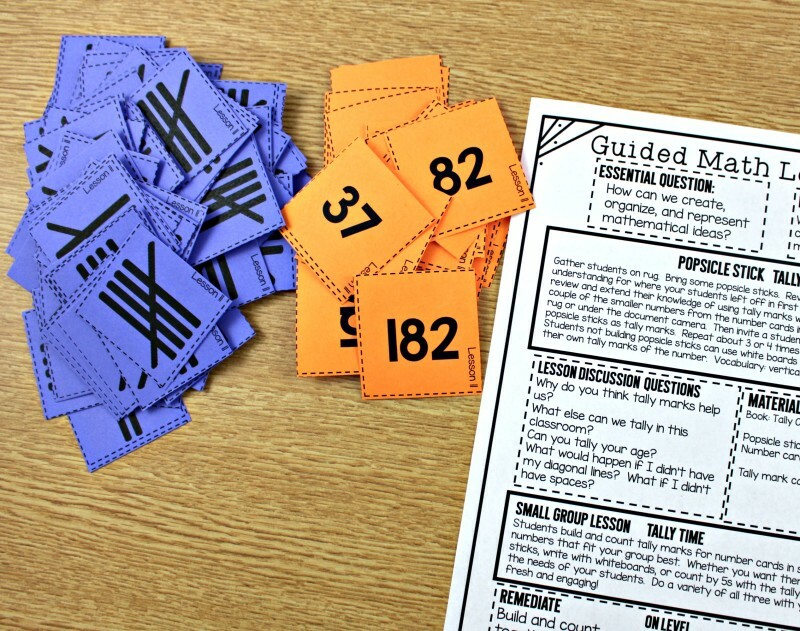 Because we aren’t meeting in small group, these small group activities can be used as guided or independent practice following the mini-lesson. 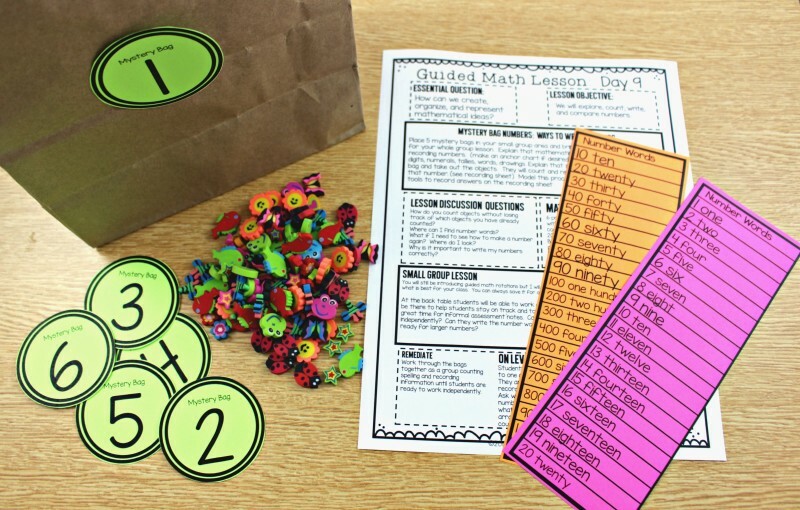 Around day seven we begin the process of learning the grouping and procedures for guided math rotations. 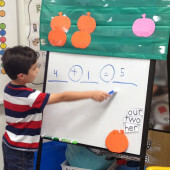 For example,in the picture below (day two), the whole group mini-lesson is reviewing a T-Chart from first grade. 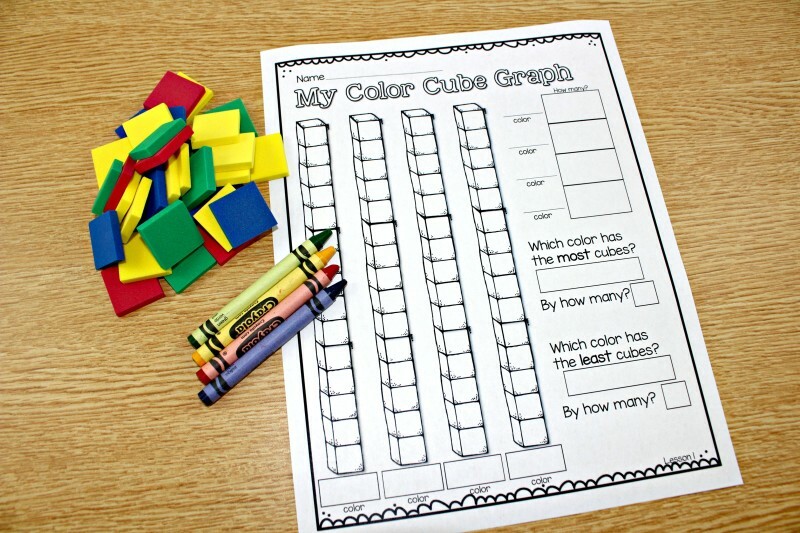 We will graph boys and girls in our class on the pocket chart. 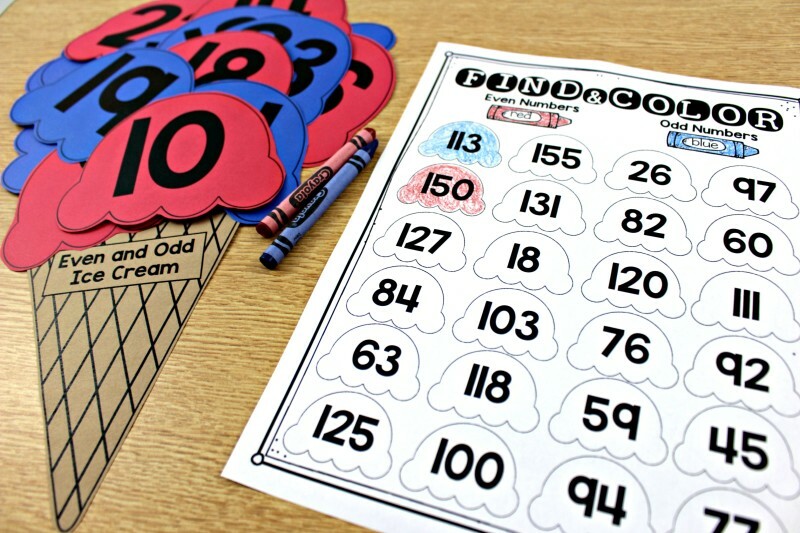 For our lesson discussion questions, we can answer how many more and how many less questions about our results. 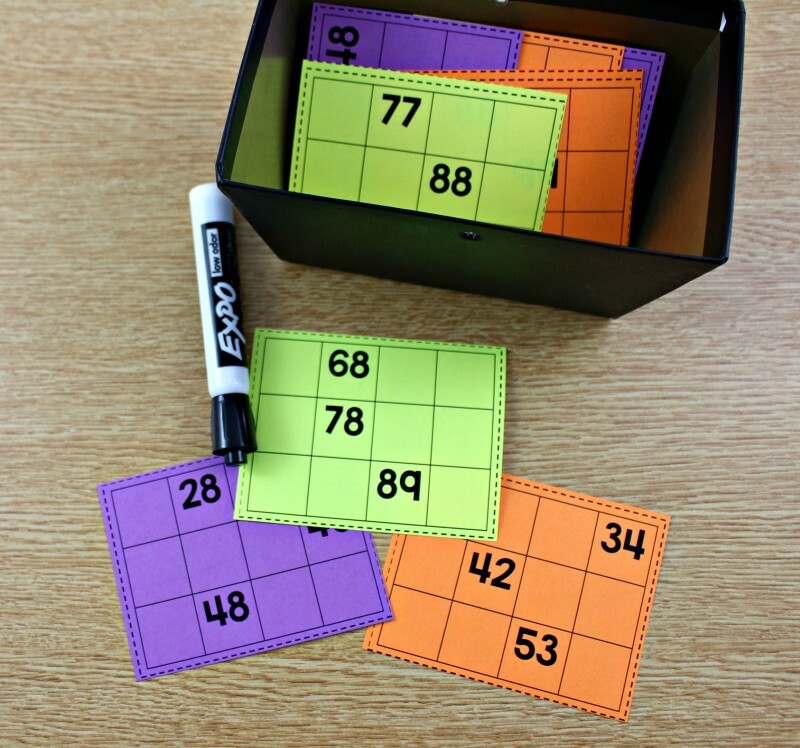 Then as a follow up activity , small group lesson, we will each get a baggie of counters (any 2-sided manipulative) and we would shake drop and graph the counters on a t-chart. Finally we would answer our own how many more how many less questions. Because we aren’t yet meeting in small groups on day two, we would do this as guided practice. As I made the transition from whole group math to not only centers, but guided math rotations, I struggled with wanting to do to much in the whole group portion of our math block! 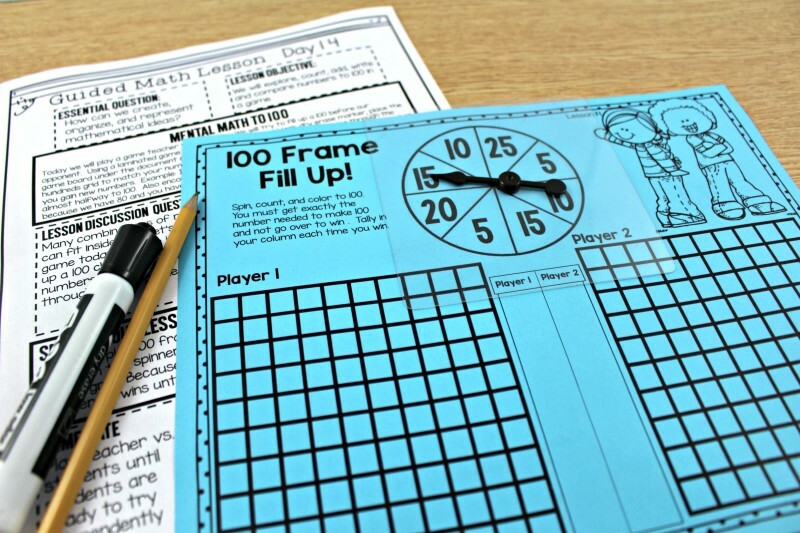 I finally learned how to create a power packed math mini-lesson with just enough information and class participation to get our brains into gear and ready to dive into the concept more deeply in small group! 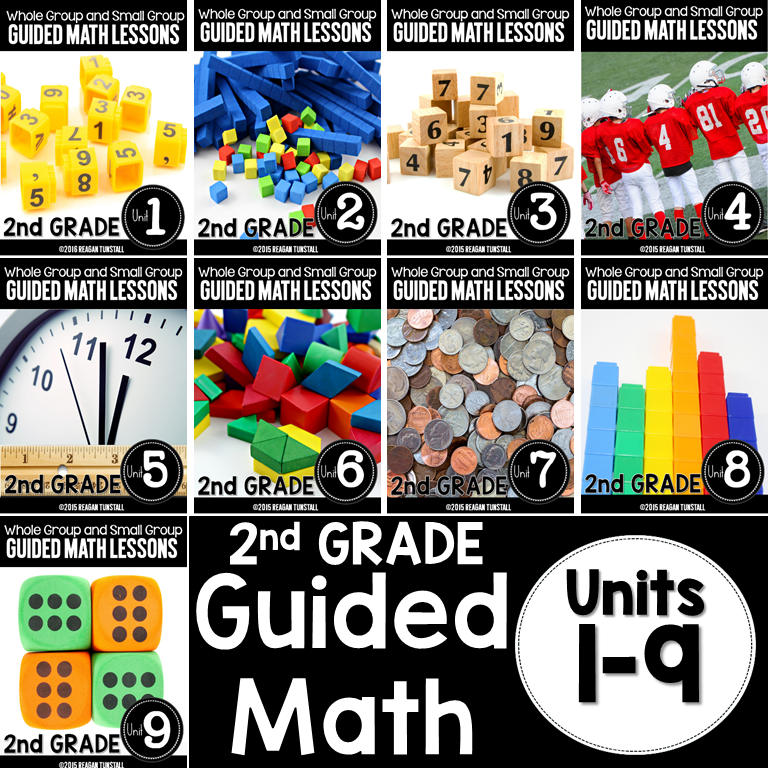 These guided math units contain both the whole group mini-lesson and the guided math small group lesson for every single day! They are aligned to common core as well as the Texas Teks. 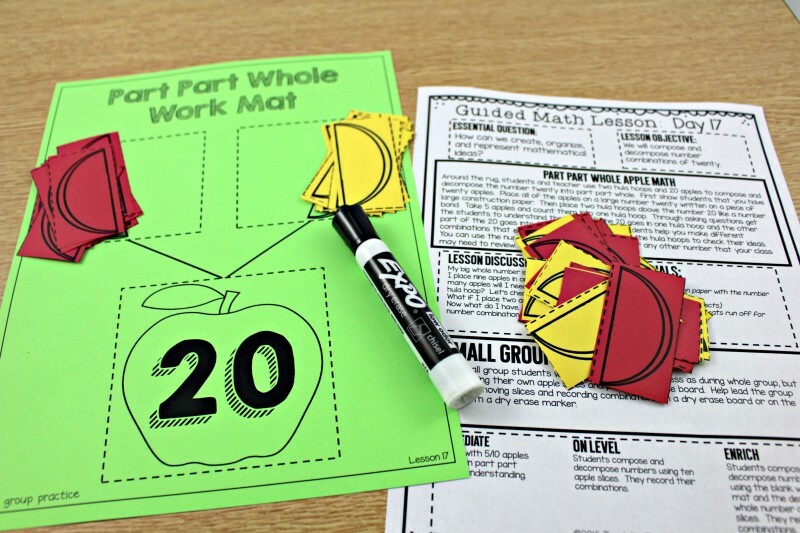 Because we have such a huge range of abilities in our classrooms, you can also find differentiated activities for your small groups! One size does not fit all! 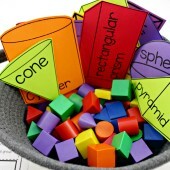 Below, you can find a fun activity for the math mini-lesson where students build an odd and even ice cream cone to become a wall display in the classroom. Then in small group, students take the ones place in the two and three digit numbers and color whether they are even or odd. 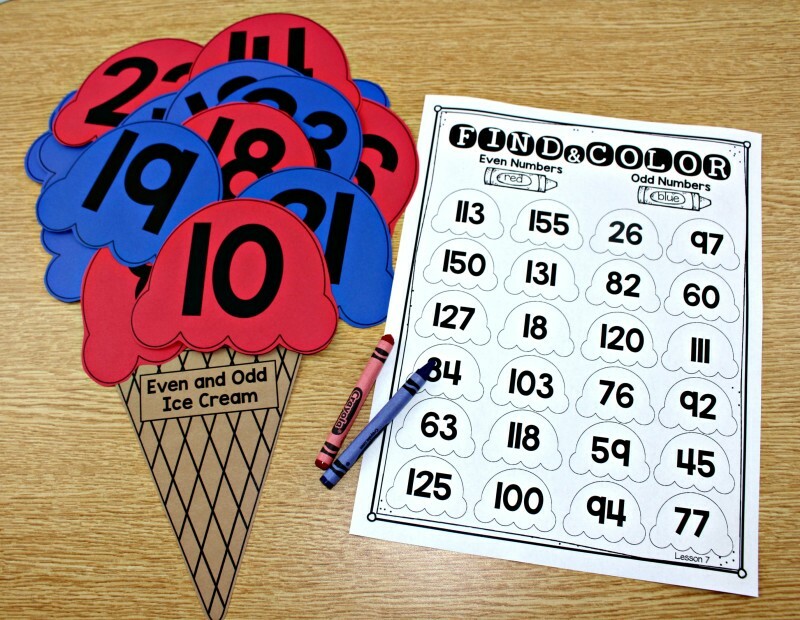 They can refer back the class ice cream cone or to their color coded number lines from a previous small group lesson! 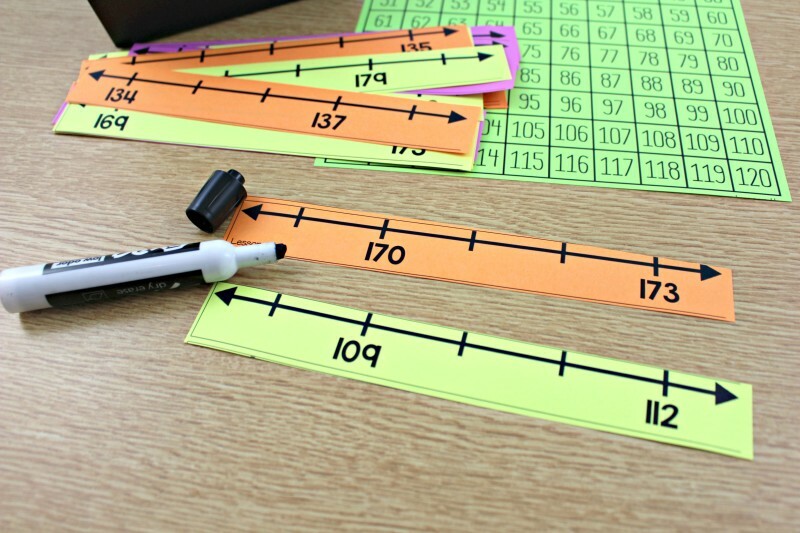 We work on number sense on a number line, as well as greater than less than on day 8. 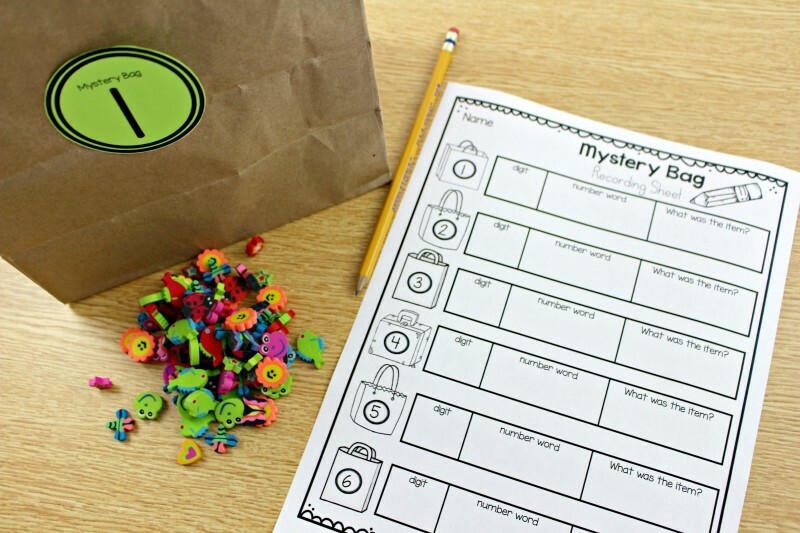 A big favorite is using mystery bags for math. I can take the same concept and present it in a fun way with an element of surprise! 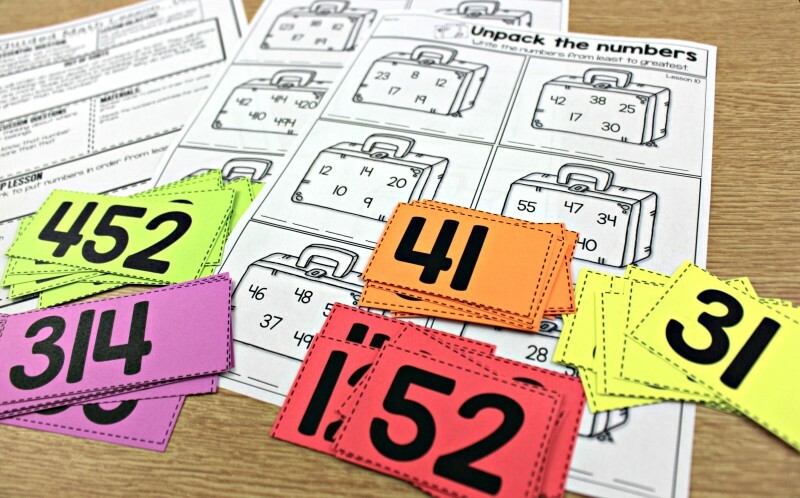 Students empty different mystery bags and then count, and write the amount for each one. Perfect for an informal assessment! 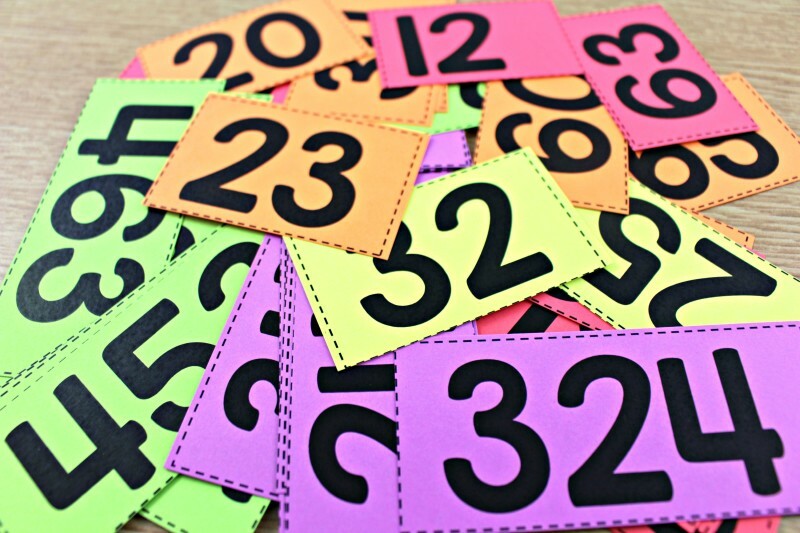 To differentiate, make two sets, and vary the number of items. You can also have math problems inside and let the correct answer become the mystery number for that bag. I am a BIG believer in hands-on learning for understanding, engagement, and the ability to quickly detect and correct any misconceptions. Here you can see two different levels of putting numbers in order. 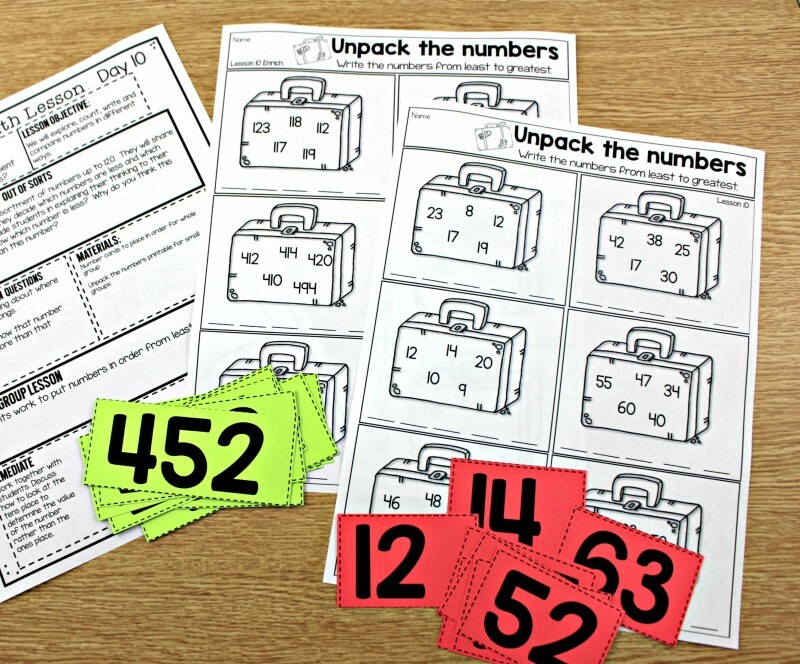 Students first manipulate a set of number cards in order by least to greatest and then once they have shown that they are ready, they can try unpacking the number suitcases on paper. 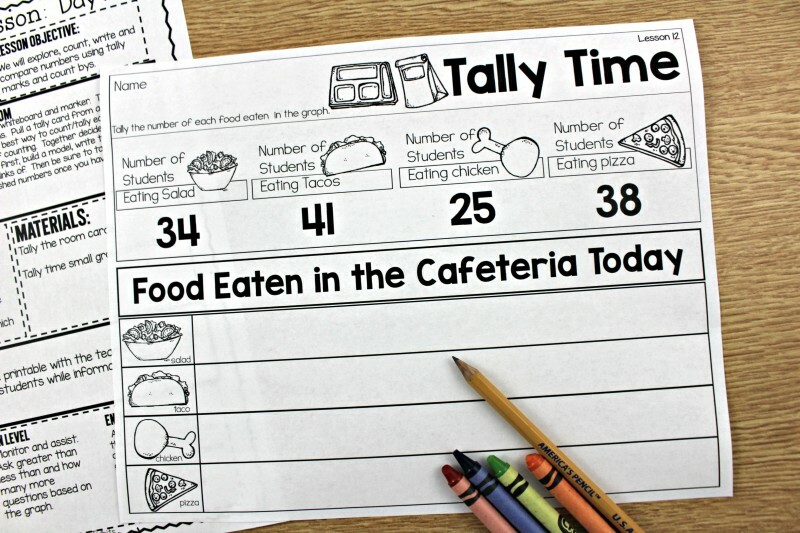 It’s easy to hit tally marks in graphing, but some beginning second graders still need time on this concept to become comfortable! This is a fun way to hit that concept hands-on! Then of course in graph form too! Finding patterns in numbers is a bridge to multiplication concepts! The more time and energy spent here, the bigger the payoff down the road! 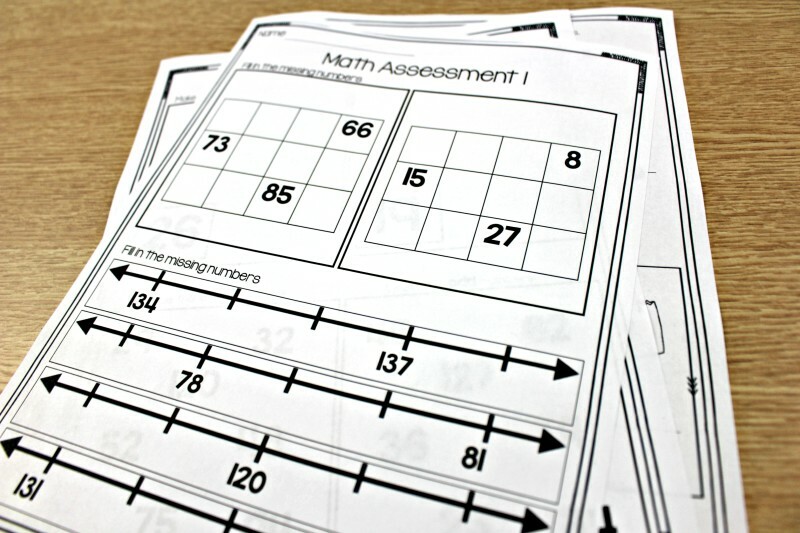 What about mentally adding two digit numbers? 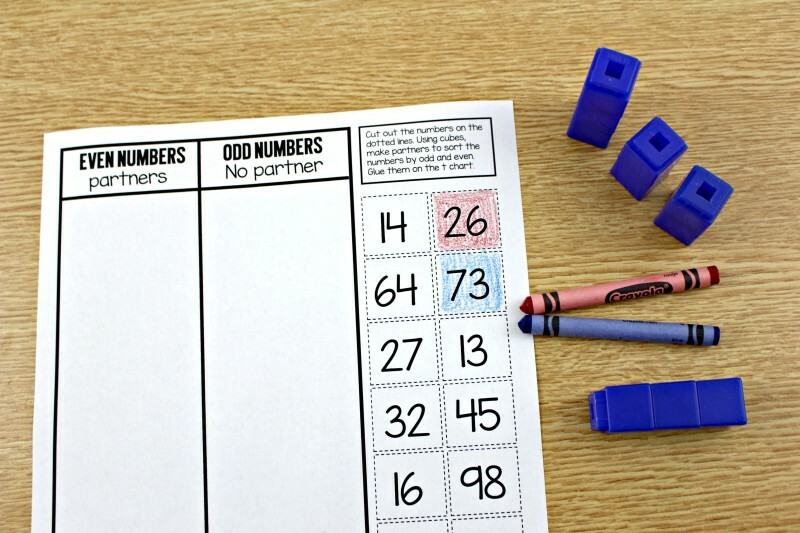 It’s all about number sense to start! 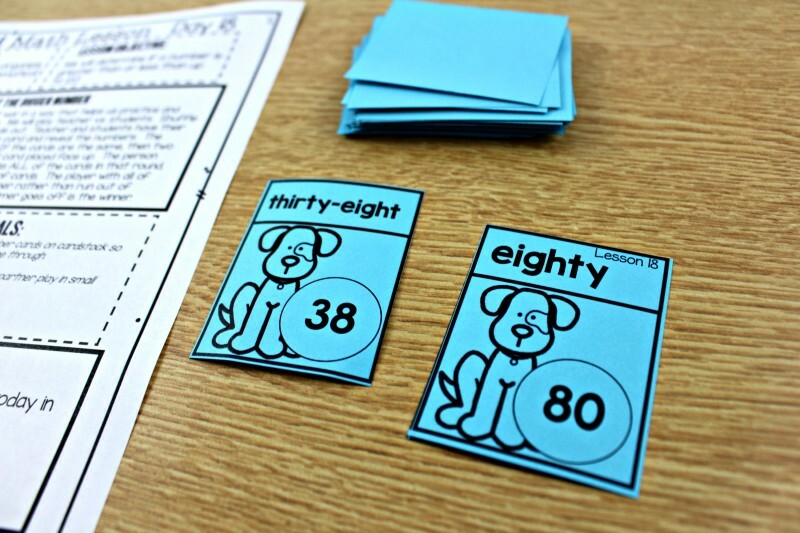 Making games out of learning standards makes students beg for small group! 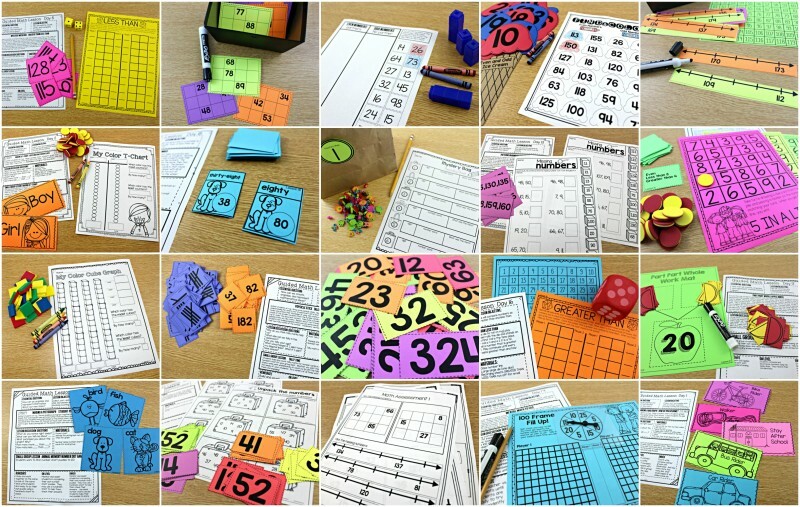 Differentiated work mats allow you to work with any number or range of numbers that your students need to master! At the end of every unit is a unit assessment. 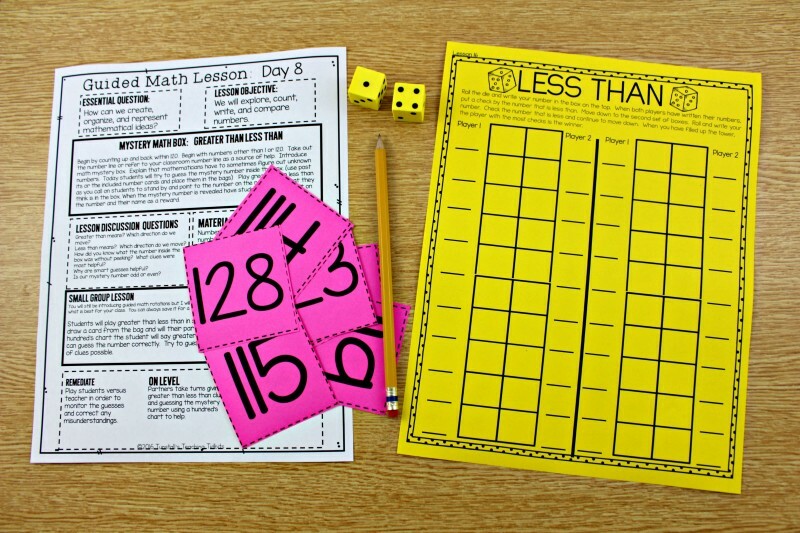 Ready to make math your favorite part of the day? You’ll see a tremendous gain in your students as you work with them in this workshop style! Do you teach first grade? 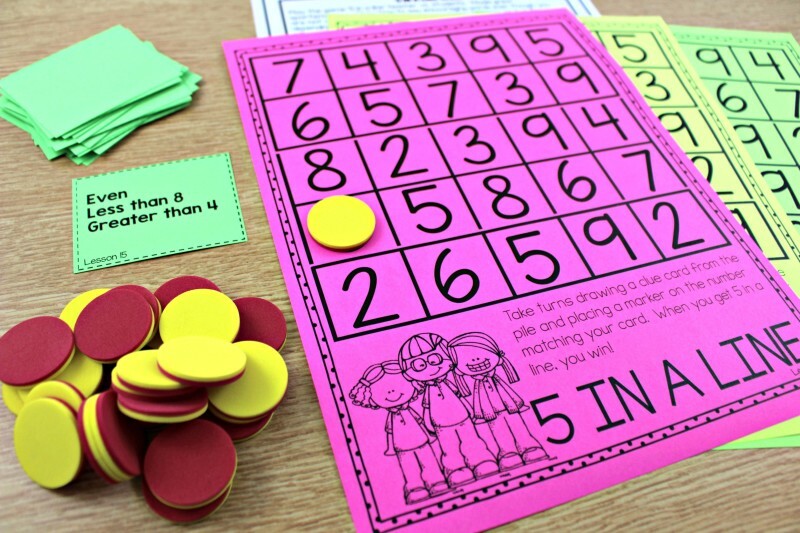 You can get many of the activities pictured in this blog post in the range of numbers more appropriate for first graders in unit 9 of the first grade guided math series! 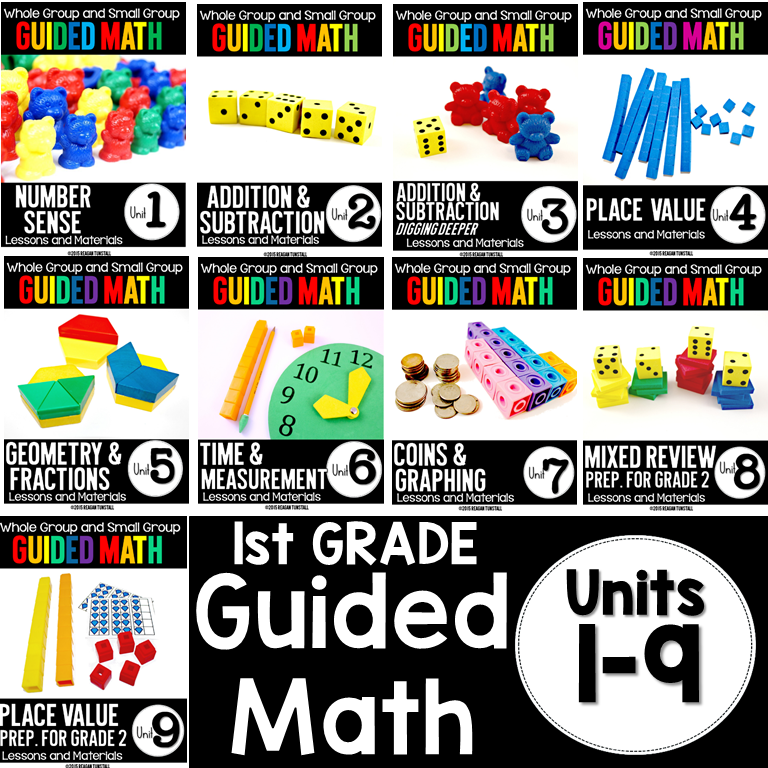 For the first grade guided math bundle click here. Seriously great stuff here! I love the random chunks from the 100 chart with missing numbers. I’m so excited to find out you’re working on 2nd grade guided math!! Thank you!! Does your school use a Math textbook also? If so, which one? Please let me know when you have third and fourth grade bundles. I do! 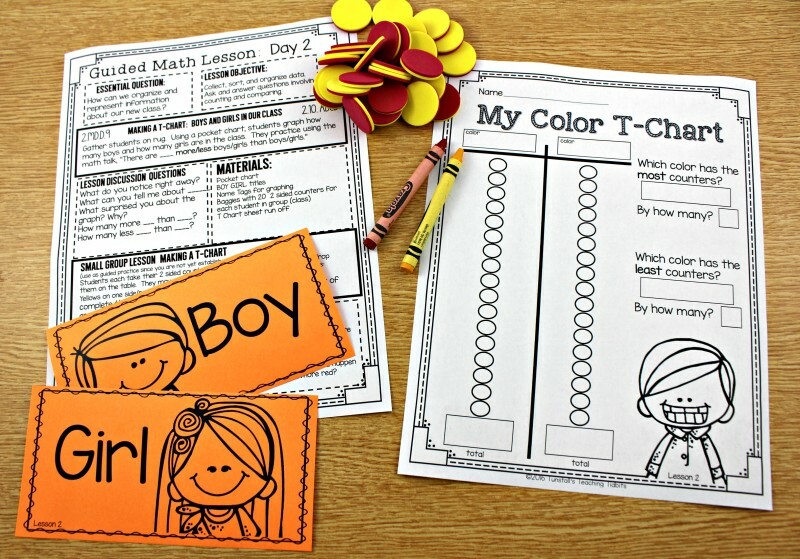 All my guided math is on Teacherspayteachers. My store is Reagan Tunstall. Hi Reagan. 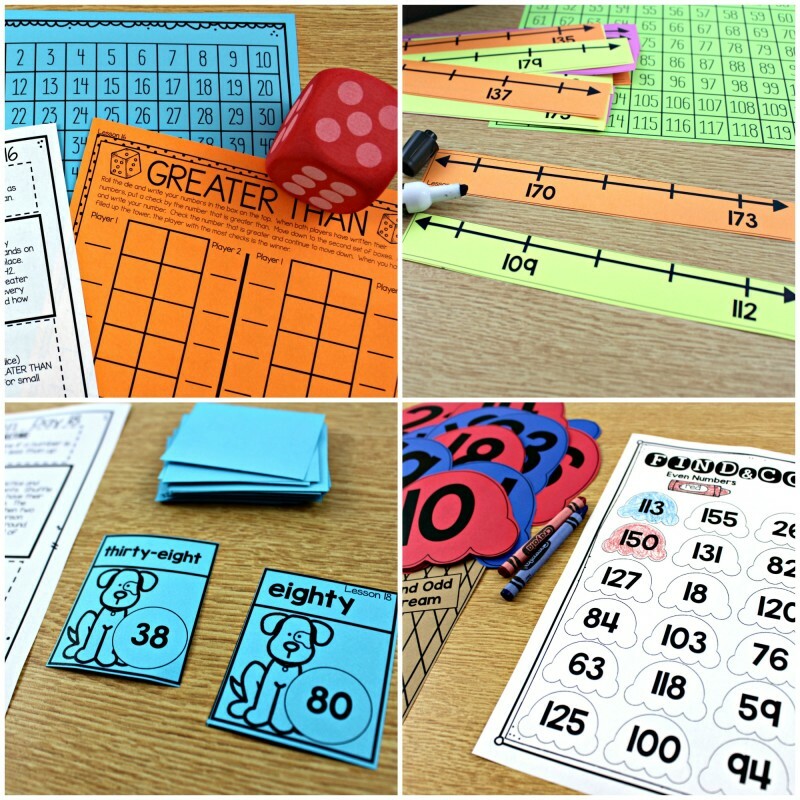 I am second grade teacher and I love your guided math bundle. 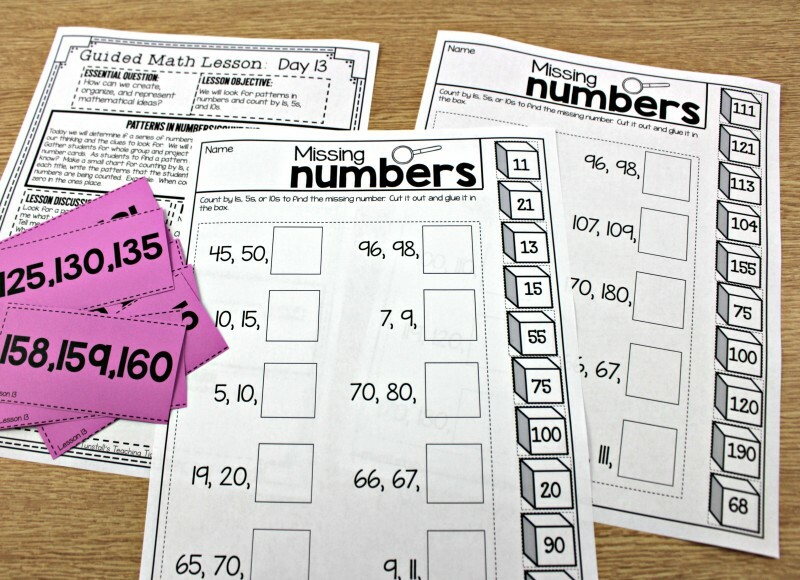 I was wondering where to find the random chunks from the hundred chart cards. 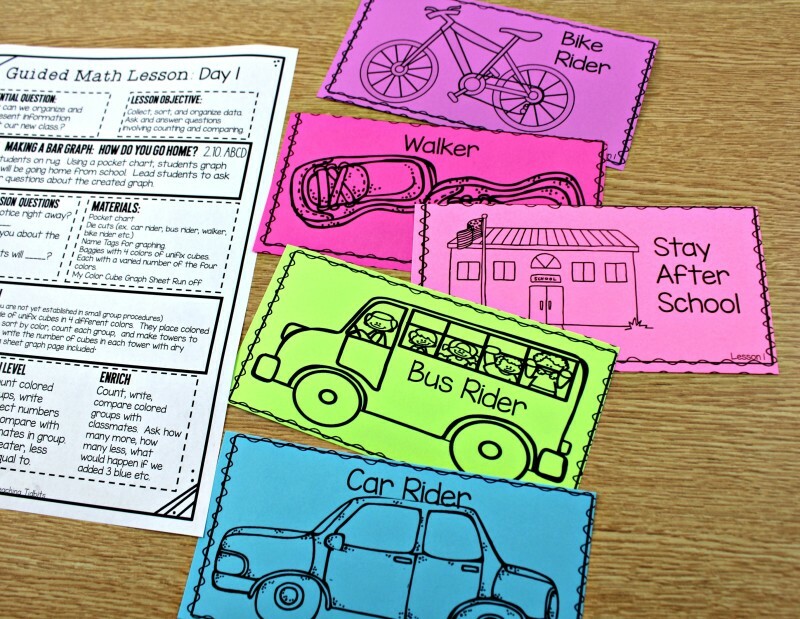 I have 2nd grade guided math and second grade centers, but I haven’t seen those cards. 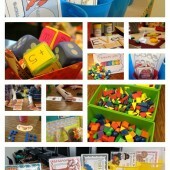 I think they would be great in our first week of centers to practice the 100 chart tool.